H&M has some deals for Black Friday during their Black Friday Deal Days! 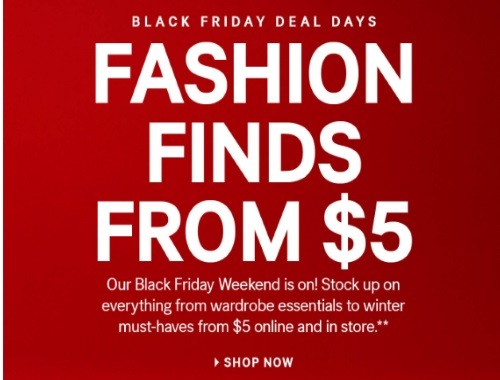 Get fashion finds from $5. Now that they finally have an online store you can browse online too! Stock up on everything from wardrobe essentials to winter must-haves. Free delivery with the promo code 3009 (until November 27, 2016). Also when you create an online profile you will get 25% off your order and Free Shipping. Offers are valid until November 27, 2016. Click here to browse H&M.